Find out more about the SRWNP session that will take place at the annual EMS meeting in Copenhagen. During the weekend of 26-27 January 2019, a deep cyclone passed across British Isles and Ireland, over the North Sea and into central Europe. It caused severe winds across the British Isles, Ireland, parts of France, BeNeLux and France. This OPERA animation shows the showers and precipitation bands. 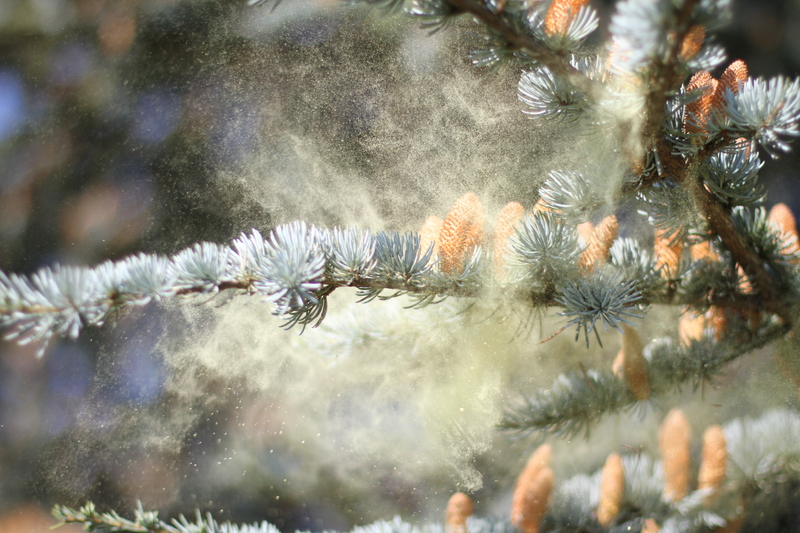 Please find below the announcement for the Summer Course “Advanced Aerobiology 2019“. The registration deadline has been extended to the 22nd March. The third European Nowcasting Conference (ENC) is organised under the umbrella of the EUMETNET Nowcasting Programme and will be held at the headquarters of AEMET in Madrid from 24 to 26 April 2019. The goal of the conference is to promote recent advances in the theory and practice of nowcasting in Europe and other parts of the world. The conference welcomes participants from operational, research and forecast user communities to discuss methods for improving the quality of nowcasting in Europe. The scientific program will feature keynote addresses as well as contributed presentations and offer room for discussions. The weather of 2017 at the marine surface over the EUMETNET area can be viewed above. The 2nd European Nowcasting Conference (ENC), organised under the umbrella of the EUMETNET nowcasting project ASIST, was held at the headquarters of DWD in Offenbach, Germany, from 3 to 5 May 2017. Close to 100 participants from 24 nations presented their latest findings on observations, nowcasting techniques, verification, user aspect and combined nowcasting/numerical weather prediction. Besides the many excellent presentations, there was plenty of room for discussions during dedicated time slots at the end of each session as well as during poster sessions and coffee breaks. To a large extent, observation and nowcasting techniques dedicated to convective phenomena were presented, indicating that thunderstorms and lightning are still one of the major themes in nowcasting. Furthermore, it could be noted that, even at individual national meteorological services (NMS), a wide variety of nowcasting systems and models are available which can lead to an overwhelming (and sometimes inconsistent) suit of nowcasting information available for forecasters. It is thus not surprising, that efforts towards seamless prediction systems, incorporating a multitude of nowcasting and NWP models, can be noted. While nowcasting is still tied to observations and their short-term extrapolation, the combination of nowcasting with NWP is gaining momentum as NWP systems with rapid update cycling are approaching the nowcasting domain. While the conference gave an impressive view of the many efforts in nowcasting techniques, there currently still seems to be a lack of coordinated activities. Similar systems are developed in parallel at different research institutes or NMS’s and one might ask if a coordination of those efforts could be fruitful and result in widely accepted and applied nowcasting tools. Modelling consortia, such as those for NWP’s, are not yet existent for nowcasting. Possibly, such cooperation is difficult due to regional and observation specific characteristics as well as the end-user focused nature of nowcast-ing . In this heterogeneous and interdisciplinary setting, it is important that the EUMETNET nowcasting project ASIST continues to support the cooperation between nowcasting researchers and practitioners among NMS’s. To see all the Posters and presentations made at the conference please click here. To find out more about EUMETNET’s activities download our 2017 EUMETNET Brochure. 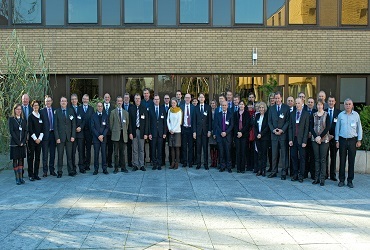 The 17th EUMETNET Assembly meeting took place in Reading, at ECMWF on Tuesday 29th and Wednesday 30th November. 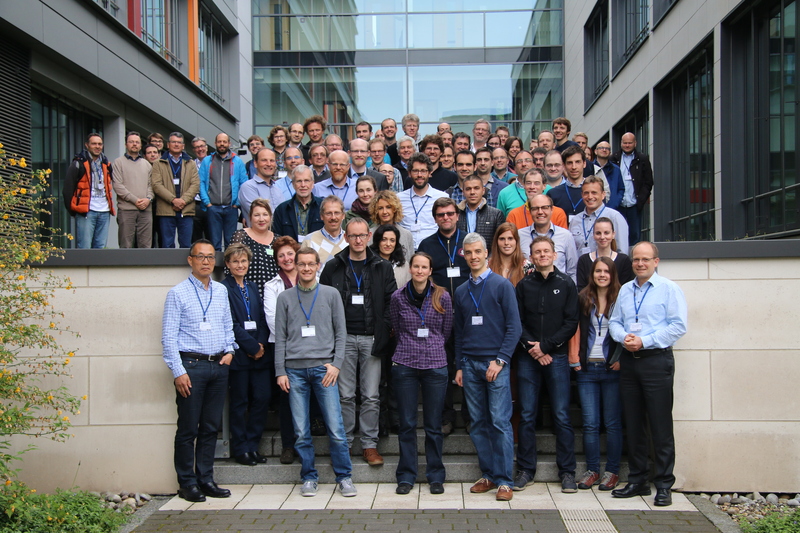 28 members were present as were Observers from the NMSs of Romania and Turkey, ECMWF and WMO. Not able to attend were the NMSs of HMS The Fyrom, IHMS, LEGMC and EUMETSAT. 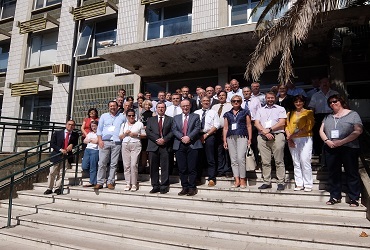 The 10th Joint STAC&PFAC meeting and the 13th STAC and PFAC meetings took place in Lisbon, by kind invitation of IPMA.